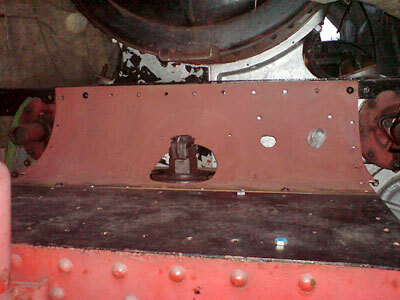 In parallel with the bunker rebuild, work is progressing on the curved sections of running plate in front of the cylinders. Thanks to Terry Howes for these photos. New rear cover for LH outside steam pipe, courtesy of Dave Link. A nice job of a very difficult fabrication. The RH side is next on his list! Hinge assembly removed from RH valve access plate, these will be refitted to new curved plates. 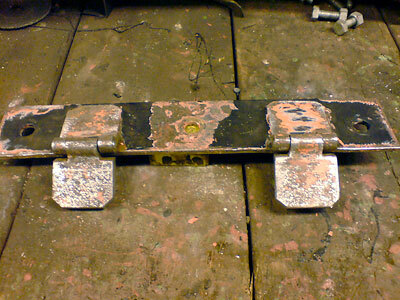 Front running plate showing the position of the access plates for the valve covers, heat reflective silver paint applied by Steve Morgan. 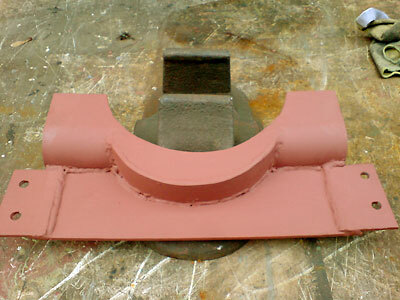 New front edge to replace wasted metal, after final welding this will be linished to blend in with existing plate.